Is LATAM already prepared to face Hybrid Cloud Solutions? Is there any doubt to take your IT stuff into the cloud? Of course THERE IS, nobody argues it, but it doesn’t mean that you are not thinking of doing it anyway, at least taking some part of your IT Services. What applications/processes are really prepared to do that? Or maybe the right question would be: What applications/processes do you feel sure to move out there? Financially speaking Cloud services offer much lower costs than what your current IT budget is taking care of your entire application/processes infrastructure right now. But financially speaking again, risk is also a cost; despite of you can probably lower your costs three times, you could get so many troubles migrating your stuff that this change could turn out into red numbers from any point of view. “Legacy” is a highly used word with some many convenient meanings. In my head an IT legacy system is the one that hardly depends on the platform doing and not affordable to move it out to a new software/hardware to lower cost and improve performance, i.,e. : z/OS, AS400 and some cases of applications developed on old-fashion architectures/versions of Oracle, Unix, Microsoft platforms that fit on this classification. Probably you may think different, but I dare you to find one common meaning of the “legacy” word. LATAM is full of big companies using legacy stuff (based on MY point of view of “legacy” word). Several companies have used VMWare to consolidate x86 servers and some of these companies name them “private clouds” when they are lack of any automation and orchestration feature, they are just trying them like any normal server, the difference is virtual now, but there isn’t agility on their management and they are still backing up them to tape with “legacy” backup applications. I am not telling they are doing wrong, because probably they did their financial review and the stuff they have is so diverse with so many variables that there is not such way to reduce it to a bunch of templates, at least not in a reasonable cost. Now, Is LATAM technologically prepared to take IT stuff into a Public Cloud? My answer is YES SIR! There are companies (most of the new ones) that have taken the decision to build their applications such as their web portal with pretty known platforms that can easily be taken to cloud infrastructures. 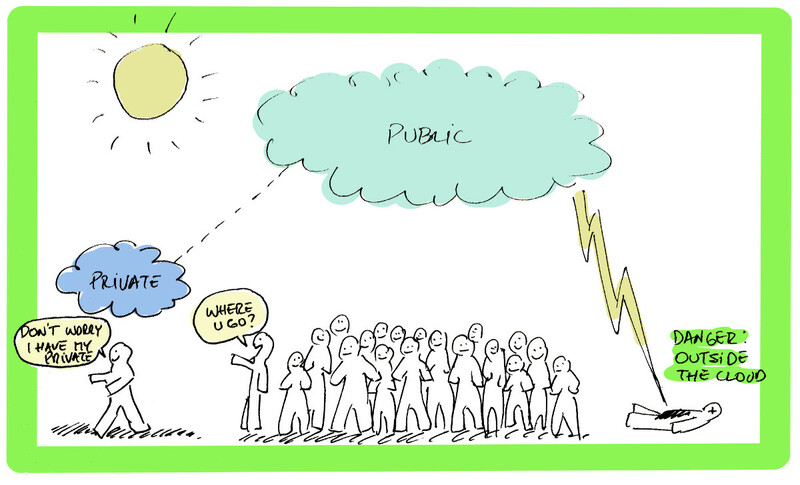 But they are still afraid of going to Cloud public services. Why? Not due to cost or maybe performance, but of a big part for security reasons and not of the part for legal/regulations constraints. 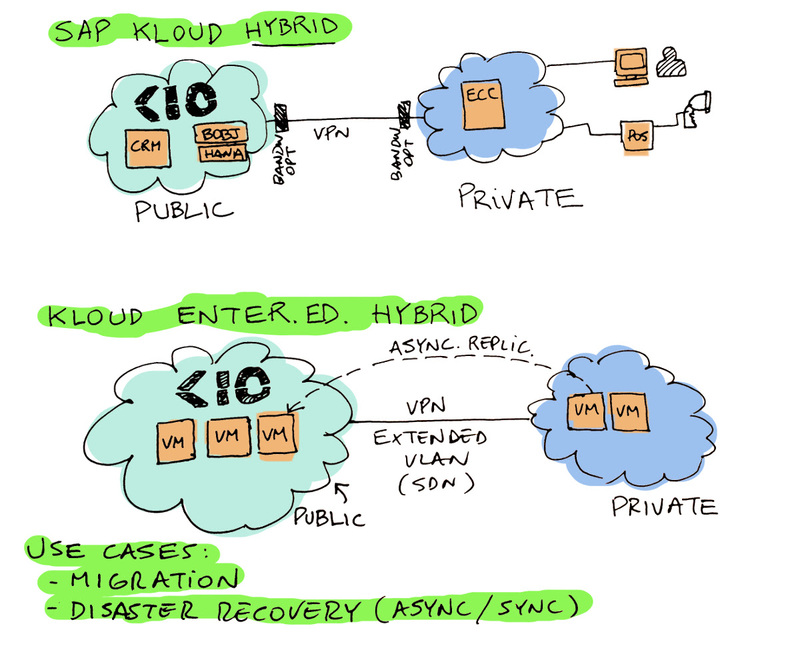 Why not Hybrid Cloud? Probably public Cloud is a big step, but there are thousands of companies in LATAM looking for consolidating their web portals and the most newest applications on private clouds. Why? Lot of reasons, to avoid procurement for every single capacity extension, lower management cost and timing through orchestration, to enforce security and operation practices through automation an so on. Some of them can not apply to Hybrid models because of industry regulations – financial companies cannot share infrastructure with others and the security practices increase cost so much making it not affordable for customers from other industries. Then, you have the technology and the providers, and also IDC has published in 2014 cloud spending will surge by 25%; and as Robert has mentioned the synergy for datacenters companies to offer “cross subsidization of private environments cohosted with public cloud providers” could speed Hybrid cloud adoption. Everything sounds beautiful for Hybrid time. However, Security is still a big concern to use it, and NSA is not helping much to US Providers. Thanks to NSA, outsiders like us are wining some momentum; a recent note from CIO Journal has exposed “about 27% of the 300 Canadian and UK businesses say they are moving their data outside of the U.S.” (NSA Fears Prompt Companies to Move Data Out of U.S. by Rachael King ), this is an indicator that could turn out into a market trend – this sounds bad, but I am smiling! 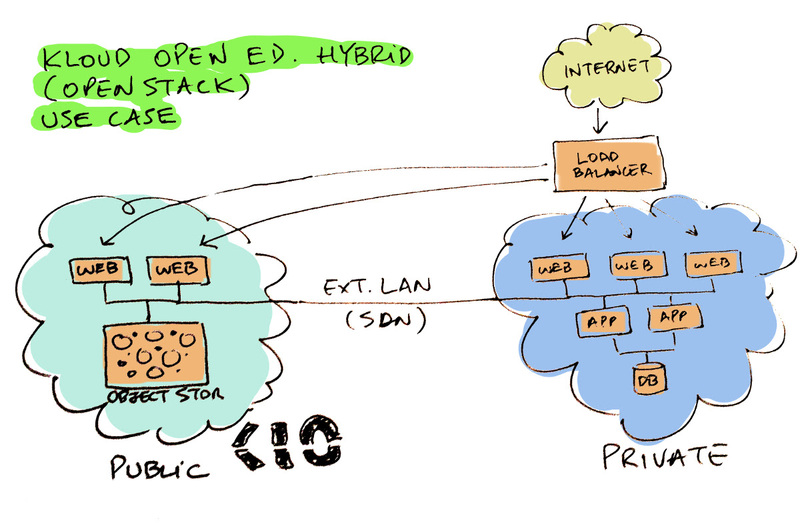 Anyway, KIO is more than prepared, we have the skills to face any project to take your applications to the cloud in a private, public or even hybrid model, no matter how complex it could be. Allow us to help you with your cloud migration strategy; we have the consultancy skills and a nice portfolio to meet a wide spectrum of necessities. We know very well all kind of technologies, from private and dedicated full automated/orchestrated PaaS that needs to meet with financial industry regulations, to public IaaS with open APIs directly or securely exposed in compliance with the most famous global cloud providers. I have to thank to all people that have been taking part to support KIO to the point that we have achieved today: Roger, Gus and Aldo at the Cloud Operation Team for supporting Automation/Orchestration development from the start; Armando and Toño for building from scratch innovation at storage and backup levels to enterprise cloud applications -we can bring rapid levels of recovery in some minutes no matter how big the data set is, to clone hundreds of systems in less than one hour, features available since years ago-. Finally, if you are a LATAM company looking for somebody to help you out, take part of this new IT revolution: Count on us! Trust us! Brief but very accurate information… Appreciate your sharing thbis one. Benjamín thanks very much for your comment, this is fuel to follow in writing more stuff like this. For hottest news you have to pay a visit internet and on internet I found this web page as a most excellent web page for newest updates. You might be truly a superb internet marketer. The internet site reloading speed will be astounding. It kind of feels you’re doing every distinctive key. Furthermore, The actual items are usually masterpiece Enterprise Cloud. you may have performed a superb job within this matter!